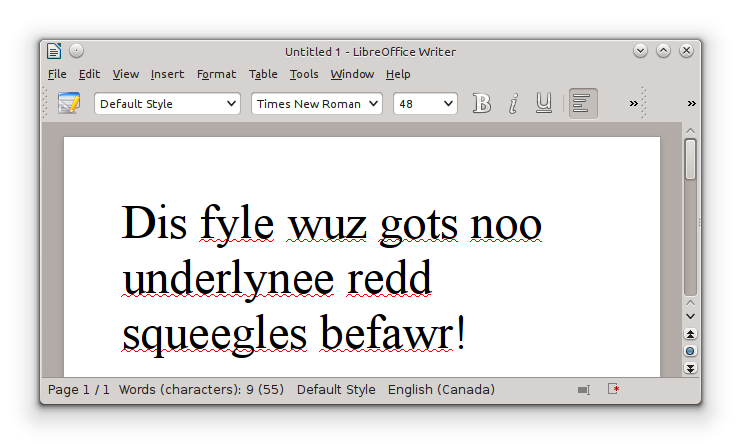 I've found that LibreOffice often claims to be spellchecking, but comes up empty for Canadian, British and Australian English. That's usually because no spellchecker is actually installed. Install one of these for your language. Here's how to install Canadian English in *Ubuntu.